In this article we I’m going to list and discuss which VPN is most secure. For this, I will be considering the aspects and features that will put directly impact. It is a wise step taken by them as a VPN technology is proved to be the best privacy tool when talking about data security. But, a most secure VPN is the one which gives you conformity of extreme privacy. To counter the recent ongoing cyber threats, the urge of people towards getting VPN has created an opportunity for scammers to fool users by offering fake VPN services. Therefore, be vigilant while choosing a VPN because your online data is the one through which anybody could get your all personal and sensitive details. 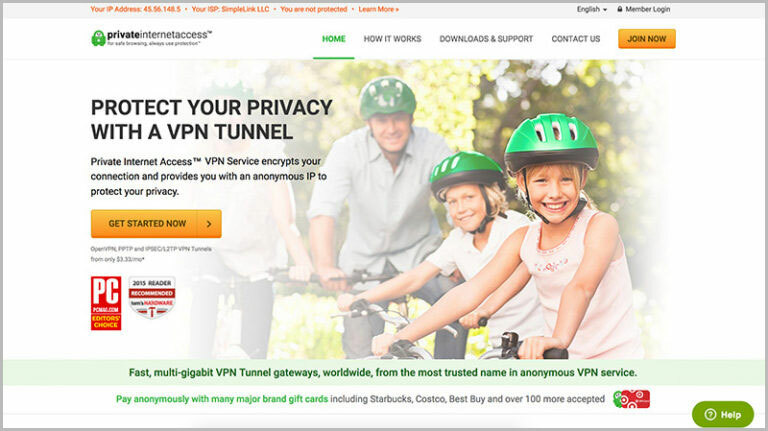 We have selected the most secure VPN so that you could have ease while considering VPN. But, you must be wondering that why it is necessary to keep security on the priority. That is because without having a useful security feature, a VPN is of no value. Strict no-log policy – they all keep user’s identity anonymous by zero logging policy. When the user is browsing internet stuff, nobody could see the browsing history. Security protocol – they give you strong encryption and data safety, i.e., L2TP/IPSec tunneling protocol with 256-bit encryption. It passes your internet traffic through an encryption tunnel. Therefore, your internet data becomes clueless for anyone tracking it. Vast server coverage – these selected most secure VPN services are those who have expanded the network of servers which gives you limitless options for choosing a server near you, to provide better service and security. Unlimited Bandwidth – bandwidth throttling could prove to be harmful as when your internet speed slows down, there is a risk of data theft or tracking. However, all these VPN providers are those that provide unlimited bandwidth. The most secure VPNs have some added advanced features which are not present commonly. Most of these features are to enhance security as many serious vulnerabilities are risking the VPN security. You might have seen the feature list of a secure VPN with terms such as network block, network firewall or automatic WiFi protection. These terms refer to the procedure that prevents the internet connection when the VPN is not connected. However, it depends on you that you select the protection setting which starts with the operating system boot and you can select a default server for VPN to connect. A similar feature to this is Kill Switch. When enabled, this feature prevents the data leak when the VPN connection suddenly drops and meanwhile the unencrypted data passes through the internet. However, the kill switch cuts off the internet connection too when the VPN connection goes off. Encrypted DNS system and DNS leak protection is a feature in most secure VPNs which is introduced due to the regular cases of DNS leak due to WebRTC leak or other reasons. These features make sure that the DNS requests always go through the anonymous VPN servers. IPv6 leak protection is also a similar feature which prevents data expose by restricting the IP leak. 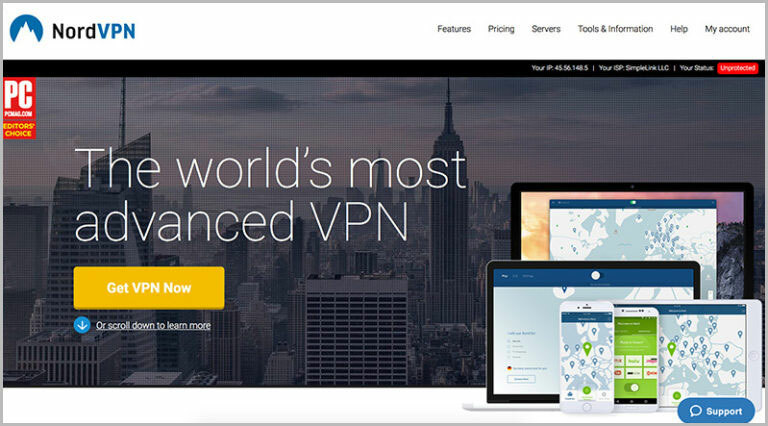 When you are looking for a most secure VPN service than NordVPN is our first choice. It provides privacy features such as onion-over VPN, double VPN encryption and an automatic kill switch that give highly guarded protection. Also, they have added the latest mobile security protocol IKEv2/Ipsec into their already existing security protocols, i.e., PPTP, L2TP, IPSec, and OpenVPN. They have P2P friendly servers which provide you complete security while torrenting and P2P file sharing. Their no-log policy makes your identity anonymous without any fear of being prone to any malicious activity. Additionally, NordVPN offers a user-friendly application for mobile devices. This VPN is one of the commonly used cybersecurity apps among iOS as well as Android phone users. 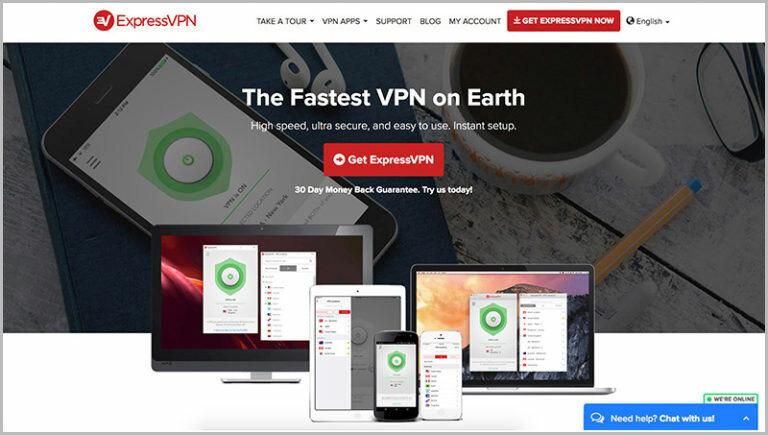 ExpressVPN has one of the most comprehensive ranges of servers that allow you to have excellent browsing experience and security at the same time. It provides you with an efficient encrypting protocol that is 256-bit OpenVPN encryption, giving your internet security with top-notch privacy. That’s why it is ranked among the most secure VPN list. It has an easy-to-use software which could be suitable for all the devices such as Windows, Mac, iOS, Android, Routers, Linux, etc. ExpressVPN is the one with most fast speed and has unlimited bandwidth so an uninterrupted, secure internet surfing could be done. 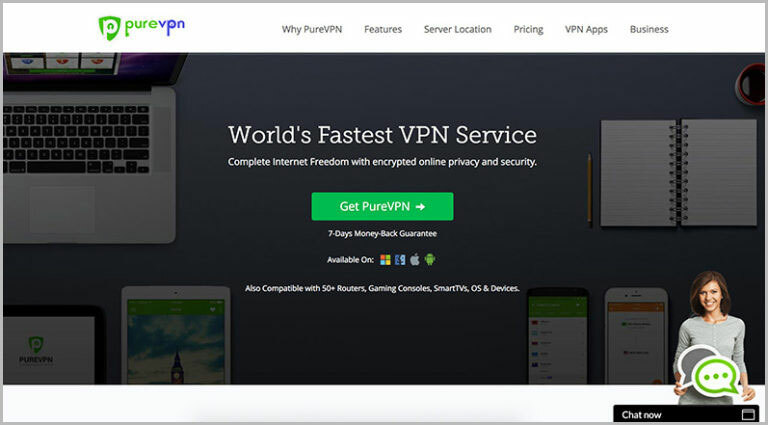 PureVPN is also a great choice if you want to have the most secure VPN service. Its distinguished features such as Split Tunneling and Virtual Router gets users attracted towards it. When you are working with a data, you want to encrypt along with the other which doesn’t need encryption than the split tunneling helps you to encrypt the important one and leave the other one unencrypted. That’s how you could enhance speed problems which occur when you connect VPN. Also, you could have connected 5 devices at a time. For most secure VPN services, PIA is also a great choice you could have at cheap rates. They have vast server availability i.e. more than 3250 servers in 25 countries which make it easier to unblock content. P2P support feature gives an excellent torrenting experience with unlimited bandwidth and uncapped speed. However, it has a bit down speed while downloading as compared to the above VPN services, but still, they are usable. PIA VPN is easy to use and could be instantly set up. It also has built-in malware and advert blocking along with security protocols PPTP, L2TP/IPSec, OpenVPN, and SOCKS5 proxy. It is located in the United States, but it does keep the strict no-log policy for its users. For most secure VPN recommendations, Ivacy VPN is the last one that we would consider. It is easy-to-use, and the desktop VPN client is basic. However, the mobile support given by IvacyVPN is not as efficient as it is plain, cluttered and is hardly updated. It gives the users some advanced functionalities and has strict zero log policy which is more reliable due to its location in Singapore. However, the refund policy offered by them is a bit complicated and has conditions. You won’t get a refund if you have used Bitcoin or Paymentwall for payment, if you have used 7 GB or more bandwidth or if you have connected VPN 30 times or more. A VPN is the technology that has a prime purpose of providing strong privacy and security measures to the ones who want to protect their data against the vulnerability. It masks the real IP address of the person connected to a VPN and allows him a fake IP according to the accessed content. This is what makes you unidentifiable for a prying eye, and nobody can track you. A VPN is helpful when you carry a massive amount of personal information such as bank credentials, private messages, photos, and many other things. But this proved authentic privacy is possible through a most secure VPN as many of the VPN providers have come into the market, its difficult to judge the one with genuine security features. VPN users are unaware of the fact that some of the providers keep the users log and could leak it to law enforcement and government agencies on demand. When many governments are on edge to surveil their citizen’s browsing activities and to store their metadata, this could affect your privacy to a greater extent. Therefore, it is necessary for you to be careful while selecting a VPN service. There is the main goal of using a VPN and that’s surely the security and privacy benefits it provides to you. Unfortunately, many VPNs start losing the efficacy and security performance right after a short span of subscription. Moreover, a VPN user is mostly considering himself secure which is a more dangerous condition. Therefore, we have separated some of the easy steps which could accurately point out the security lacks into your VPN service. Also, you can perform these tests in the trial period or in the days when you could claim money-back and that way you can select the most secure VPN for yourself. DNS leak is a common vulnerability found in many VPN services and that could leak your browsing activity to your ISP even with a VPN. You can read more about DNS leak here. To execute DNS leak test you should connect to your VPN and then run the test from DNS tool. If the displayed information contains your real IP address, location, ISP hostname or any other information then your DNS might be leaking. To prevent such condition you need a VPN that has its own encrypted DNS system and DNS leak prevention. There are many handy tools that let you know if your IP address is leaking or not. Most of the VPNs claim complete anonymity and hiding real IP is the most basic feature of VPN services. But unfortunately, there is a lot of VPN incapable of providing IP security. According to the findings of VPN apps, 84% VPNs leak the real IP of users. Go to an IP leak test tool and perform the test without connecting VPN. Now connect the VPN and refresh the site. If the information in both sets is same or the IP is matching then your VPN is leaking your IP address. You must look for VPN features such as Killswitch which prevent IP disclosure if the VPN connection suddenly drops. In many regions torrenting is an illegal act and for file sharing, you could be caught if you do such an act. They have legal implications for the act of copy infringement and they possess strict laws regarding it. However, you could use a most secure VPN provider that have servers outside countries observing such laws. So, while torrenting you must be connected to a secure VPN who mostly offers optimized servers for P2P file sharing. They also keep unlimited bandwidth and fast speed downloading to eliminate any risk. So, you could torrent without worries if you are connected to a most secure VPN. Although the world is moving towards internet freedom, but also many of the blockades are placed on the internet content for the users. This is where people move towards tools which can unblock such restricted websites and content. However, a VPN is thought to be the most reliable one and many people are considering it. But, people are still unaware of the VPNs that are fully secure to use while doing such stuff. It is common thinking among internet users that all of the VPNs provides same security protocol. However, this is not the case, with many of the VPN providers. Unblocking content is not a simple task to do and for that many countries also possess strict laws and a person caught doing such could face a penalty. Therefore, you should always look for the most secure VPN service to cater to your needs. Conclusion: If you are willing to have a most secure VPN experience and data security is your first priority then you must select a VPN service intelligently. Most of the services nowadays are giving cheap rates but they do compromise on the security features which they provide to their users. Moreover, the problems like DNS leak and weak traffic logging policy of some VPN providers are affecting user’s privacy. However, data protection was the sole responsibility and cause for which a VPN technology was introduced. This is why you should select from the VPN providers which are popular and have top-notch security features. For that, these above-discussed VPN services are the ones who have kept user’s privacy on top, however, they also have excellent features making them distinguished among others.